The Shepherd Hardware 3 inch. mag designer caster will add bling with machined aluminum black finish and non-marking thermoplastic polyurethane treads. Top Plate Size: 2-3/8 inch. x 2-3/8 inch. Please contact 269 756-3830 for assistance. This warranty does not apply to defects resulting from any customer actions, such as mishandling, operation outside of design limits, misapplication, improper repair or unauthorized modifications. 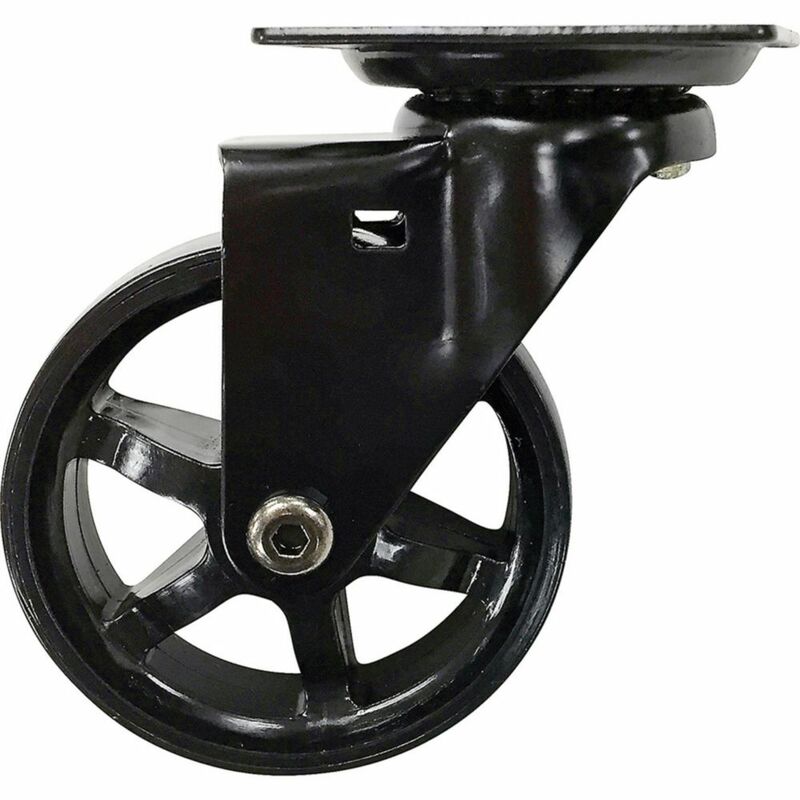 TPU casters feature a soft thermoplastic polyurethane wheel that is durable and non-marking. They also provide quiet movement and superior floor protection. Provide quiet operation and smooth rolling. Engineered for unsurpassed durability and reliability, resistant to chemicals, acids, bases, alcohols and salt. Perfect for a variety of applications and uses like, food service, retail display, institutional, hospitals, schools, restaurants, warehouses, shop floors, industrial and manufacturing environments. Thermoplastic rubber tread wheels provide quiet operation and smooth rolling. Engineered for unsurpassed durability and reliability, resistant to chemicals, acids, bases and alcohols and salt. Perfect for a variety of applications and uses like, food service, retail display, institutional, hospitals, schools, restaurants, warehouses, shop floors, industrial and manufacturing environments. These models reflect the latest trends. An aluminum finish enhances every angle, bringing to mind a motorcycle wheel. Can be installed on all types of furniture. Mounting plate included. For indoor use only. Sold by the unit. Designer Premium Series 3-Inch Mag Designer Casters, Black Bling The Shepherd Hardware 3 inch. mag designer caster will add bling with machined aluminum black finish and non-marking thermoplastic polyurethane treads.